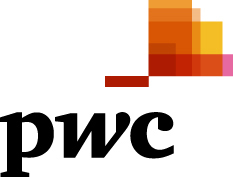 A TCPI-PwC Webcast – Digital taxation proposals from the European Commission, OECD, UK and others: What’s next? If you missed the webcast, you can view the replay of it here! Digital taxation proposals from the European Commission, OECD, UK and others: What’s next? A Prelude to the 20th Annual Tax Policy & Practice Symposium, February 14-15, 2019, Washington, DC. As global business becomes more digital, the debate on taxation of the digitalizing economy is evolving rapidly. Our panel will explore the changing path of this conversation, discussing the substitution of a tax on online advertising revenue for the European Commission’s digital services tax proposal, prospects for unilateral digital services measures proposed by various countries (in and outside of Europe), the pressure on the OECD to develop a consensus alternative, and the key role the US is playing in the discussions. Please join the conversation as we set the stage for the 2019 Symposium.